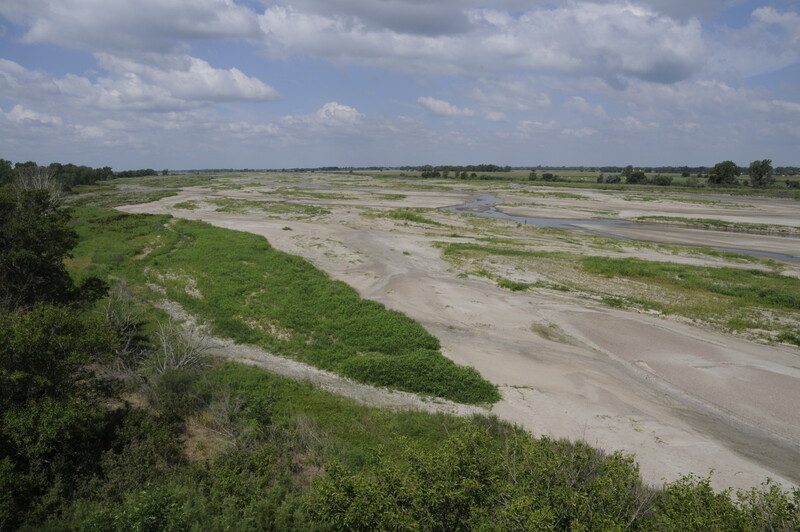 While staring at the Platte River this past week, I grappled with the severity of the drought in California and the mandatory restrictions of water use there. It was intangible, a concept I just couldn’t grasp while watching the girth of surface water flooding Nebraska this year. California farmers are losing crops because there isn’t enough water, while farmers in Nebraska are losing crop because there is too much water. But we’ve had our share of drought in the Midwest, and will again face the reality of water scarcity. Hypnotized by the intrusive river flowing through the Arby’s parking lot near Grand Island, Neb., with the banks hidden by the consuming volume of water roaring through the river channel, I came to a realization. For how closely I work with and love water, and how important it is in everyday life, I know very little about the laws and processes that govern water use. So of course, I Googled it. And what I learned was overwhelming. Like diamonds and gold, water is a precious commodity. But unlike 24kt earrings, water is essential to human, plant, and animal life. Although most of the earth’s surface is covered in water, about 97.5 percent is saltwater. Of the 2.5 percent remaining, only one percent is freshwater accessible for human use (rivers, lakes, aquifers — the rest is locked up in glaciers, ice floes, etc.). Freshwater is taken for granted, but as a finite resource, it’s not always available when or where it’s needed. So what governs this limited water? What laws manage a resource acknowledged as a human right? The answers to these questions are complicated and exhaustive, but the refined answers to my (pretty extensive) Google search tells me this: the Western U.S. is typically governed differently than the East, water laws differ by state, and water resources are a controversial commodity. There are two different doctrines that govern water rights in the U.S.; the riparian doctrine for eastern states and the prior appropriation for western.2 The riparian doctrine gives reasonable rights to a landowner whose land borders the water. It applies to most eastern, and some southern and midwestern states since colonial times. In the West, where water resources are sparse, the prior appropriation doctrine states water rights are “first in time is first in right” (rights are given to those who used the water first), and are also based on putting the water to a “beneficial use.” Individual states have their own more specific laws governing water rights. So what about Nebraska, which leads the nation in irrigated acres, boasts the most river miles in the lower 48, and where one-third of the state lies in the East and two-thirds are in the West? 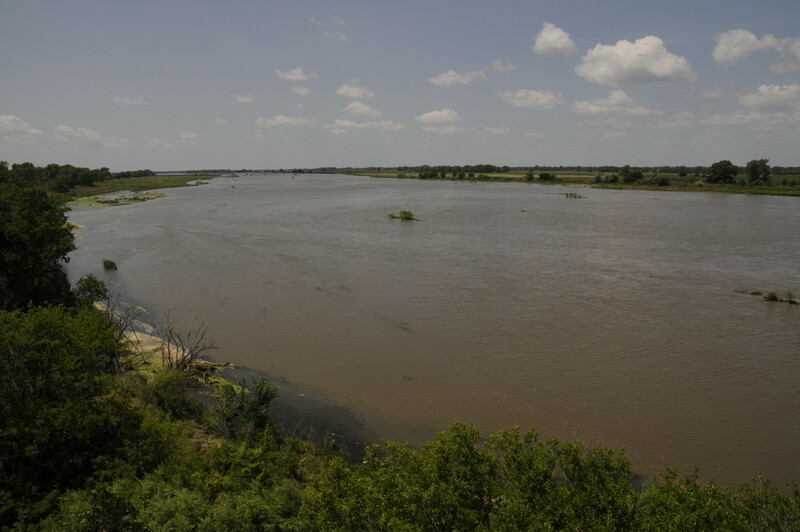 In the early 1800s riparian rights governed water, but after water diversions and irrigation became common in the state, prior appropriation was implemented in 1895.3 Therefore, Nebraska has a dual system of doctrines (like California, Washington, Oregon), but is mostly governed by prior appropriation. Ground water and surface water are known to be hydrologically connected. 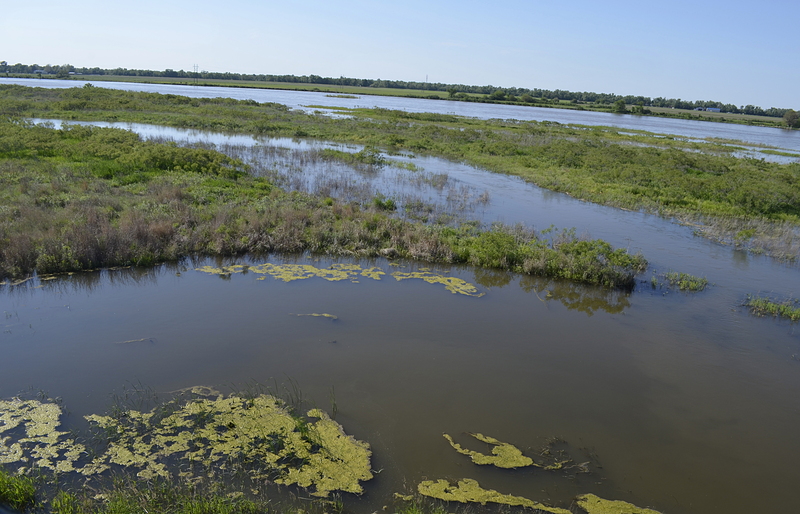 However, the Natural Resource Districts (NRDs) are responsible for ground water in the state, while the Nebraska Department of Natural Resources (NDNR) manages surface water.  This makes Nebraska’s governance of water a unique two part system where water management plans are developed through the cooperation of NRDs and the NDNR. Water rights and use are complicated. Out there on the world-wide-web there are many stories, news, articles, reports, and opinions on water management, especially in light of recent droughts. Is there a more efficient resolution on how to govern a finite resource deemed a human right? At this point in my Google research I am still developing a better understanding of the laws and policies that govern water use. The Salmon Kill river runs through the backyard of my parents’ house in Connecticut, where much of my childhood was spent playing in the water with my yellow lab, Bailey. I would romp up and down the stream looking for creepy bugs, collecting skunk cabbage bouquets for my parents, and trying to get as dirty as possible. I had a spot on the edge of the river that I called my own where I would play fetch with Bailey or fume about how unreasonable my parents were for making me clean my room. The river was therapeutic, an old friend; adventurous and alluring, yet soothing and familiar. 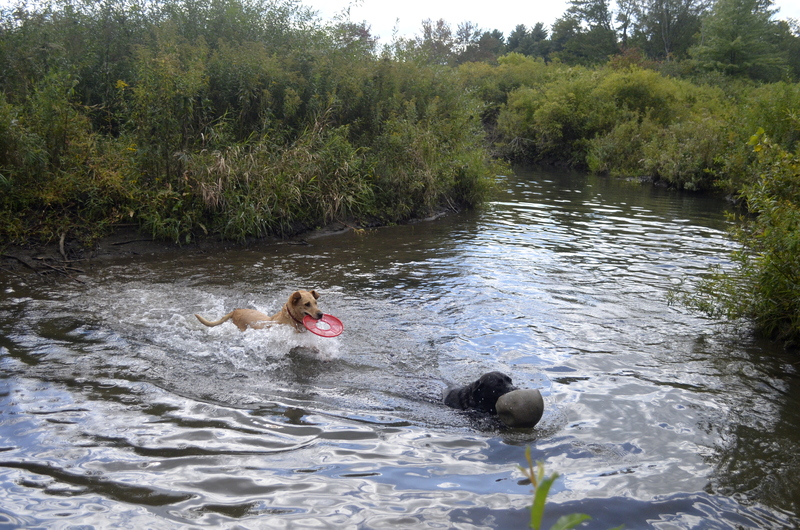 On one excursion I tossed an old canoe paddle to Bailey but it was too large for her to fetch, so the paddle escaped and traveled with the current, out of the safety of my secluded spot. I told my dad I hadn’t seen it. Sometime later it resurfaced as an integral piece of a beaver dam that was ponding water and reshaping the river channel just around the bend from my spot. Although it was my parent’s property, and sure, this was my self-claimed spot, the water was just a visitor traveling through on its journey, connecting stationary locations, like my spot or maybe yours, for hundreds of miles. And whether it’s the over-consumption of water, polluted runoff, or a canoe paddle, how we impact our water resources reaches further than a human delineated boundary of one location. Jenkins, A., Elder, B., Valluru, R., & Burger, P. (2007). Water rights and land values in the West-Central Plains.Great Plains Research, 101-111.